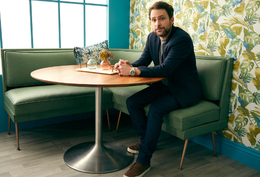 For "It’s Always Sunny in Philadelphia" actor Charlie Day, the path to stardom has been a wild and unexpected ride. Charlie Day developed a soft spot for Philadelphia long before he starred in a TV show that bears the city’s name. Born in New York and raised in New England, Day became intimately familiar with the city and its suburbs as a boy. When Day and his partners in crime—Glenn Howerton and Rob McElhenney—first pitched their idea for the show that would become the smash-hit It’s Always Sunny in Philadelphia, Philly wasn’t even on the radar. Much of the show is filmed in Los Angeles, but locally based fans will inevitably recognize some familiar haunts from both sides of the Delaware River. In one episode, for example, Day’s excitable character, Charlie Kelly, brawls with the Phillie “Phrenetic” (a neon-green mascot who looks remarkably similar to the Phanatic) at a tailgate party just outside of Citizens Bank Park. In another, the whole gang makes the trip to the Jersey Shore, where raucousness, raunchiness, and even some romance ensue. Now in its 13th season, It’s Always Sunny in Philadelphia ranks among television’s longest-running scripted prime-time series. (The Simpsons, by comparison, is approaching its 30th year on air, while Gunsmoke and Law & Order both ran for 20 years.) Few, including Day, could have expected a show such as theirs, about a troupe of ne’er-do-wells running an unremarkable Philly bar on an unremarkable Philly street, would have struck such a chord with viewers. He chalks up the show’s popularity to its crass humor and creativity, but mostly its cast of tremendously flawed yet lovable characters. Besides his long-running role on Sunny, Day has starred in box-office hits such as Fist Fight, The LEGO Movie, and Monsters University, as well as the Horrible Bosses and Pacific Rim films. He’s also starting to make a name for himself as a producer of shows such as The Cool Kids, a sitcom new to FOX this fall. In addition, he and McElhenney recently booked a half-hour comedy series with Apple. We caught up with Day to talk about Sunny’s improbably epic run, among other topics, including his goals for the future, how he met his wife (fellow actor Mary Elizabeth Ellis, who plays “the waitress” on Sunny), and how he acquired the musical abilities he has put on display in Sunny episodes throughout the years. Considering where you guys started with It’s Always Sunny in Philadelphia, did you think back then that you’d be talking about it 13 seasons later? I never thought we’d do more than five or six episodes and get cancelled, because it’s a long shot to do a show, and even more of a long shot to do one that lasts. I couldn’t have imagined we’d have the opportunity to do it for as long as we have. What do you like about the new season? Every year, when we sit down to write the show, we think about what’s possible. Then we write the storylines and sit back and say, “Well, let’s see how this goes.” A lot of times I’ll think we missed the mark, but who knows, maybe it will come together. Then we get to filming [the episodes] and it’s still pretty funny. It has something to do with the chemistry of the people there. Every year we get to this point, and it always winds up being pretty funny. To me, Charlie always seemed like the heart and soul of the show, and the heart and soul of Philly, to a degree. He might not always do or say the right thing, but he means well. He’s got a good heart. He very often doesn’t do the right thing or say the right thing, like you said, but sometimes he does. Somewhere deep down he’s a good person. The show’s hilarious, sometimes quite raunchy, but I read that you get some of your best ideas during your drive to and from the set, listening to NPR. Is that true? It used to be back in the day; I’d see what the headlines were and be listening to those NPR stories, so then we’d have to write an episode about something like North Korea. … These days, the show takes on a life of its own. It’s a lot easier writing for characters you know so well. The challenge then becomes not repeating yourself. There’s a corkboard with a lot of notes of various colors that are full of ideas for episodes. Maybe it’s Mac coming out to his father or the gang going to the waterpark; the trick is seeing where you can combine those cards into one episode. You do a lot of singing and music-related stuff on the show. 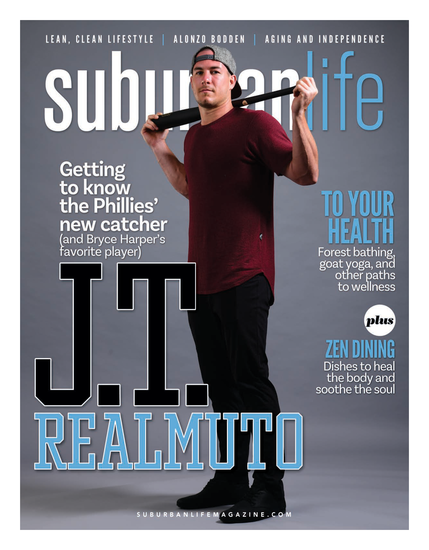 Your performance of the song “Nightman” comes to mind. I’ve read that music runs in the family. What’s your dexterity? My father went to St. Joe’s Prep, and he went on to get his Ph.D. in musicology. He then met my mother, who also was going to get her Ph.D. in musicology. My sister has her Ph.D. in music, too. So I come from a very musical family. I grew up in a house with instruments, and I learned how to make noise on all of them, but I’m no expert. My interest and ability are just that, but I have a low-stakes outlet for writing a funny song for Sunny that is allowed to not be perfect. I’d be too embarrassed to do something serious. I read that you and Mary Elizabeth Ellis met on the set of Reno 911, where you played incestuous siblings. I don’t know if it’s true or not, but that’s about one of the best “how I met your mother” stories I’ve ever heard. I’m not sure how that rumor got started, but we were together before Reno 911. We auditioned for Reno 911 together, while we were dating. How we met: I was doing a play in New York in December 2001, and we had a mutual friend. [Ellis] came to see the play, and she charmed me with her sense of humor. My friends and I went to a bar afterward, and I arm-wrestled my buddy to see which of us would get to talk to her. I won. Besides Sunny and your work producing other projects, you’re starring in your own movies now. When you first started acting, how far did you think you’d get? I remember being at the Williamstown [Mass.] Theatre Festival in my early 20s. It’s a place where a lot of Broadway actors and celebrities did plays in the summer. It’s a great thing being on stage with these people; it could be someone famous or someone who’s just trying to make a living acting but not a household name. I thought if I could make a living as an actor, I’d be OK if no one ever knew my name. So I have surpassed my hopes and expectations. Now I’m just trying to stay employed.